Laura Gunga used to be a busy woman, working three jobs until she noticed something wrong with herself. "I felt really, really tired, like exhausted, because I'm a person who works out twice a day, and i was full of energy." Doctor's told her in October she has stage 3 breast cancer. "It spread to my armpits and lymph nodes," said Gunga. Laura travels to Moffitt Cancer Center in Tampa once a week for treatment, soon she will need a mastectomy. "They started treating me with two different kinds of chemo, not just one, and chemo by itself is not easy." With Laura not able to get around as easy and her medical bills mounting, Her friends Miranda Skinner and Nora Halimi sprang into action. 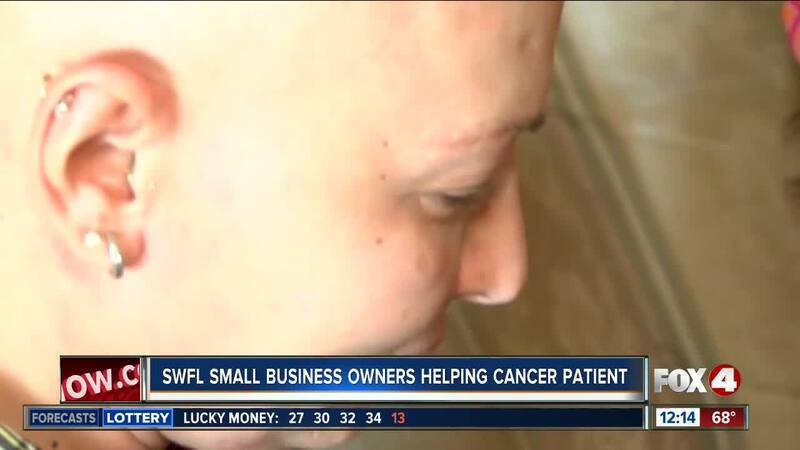 They are donating 10 percent of sales at Miranda's Hairworld and Bijoux boutique in Marco Island to help pay Laura's bills. Miranda and Nora also launched a Gofundme account, but with Laura's medical debt approaching 6 figures, they need more help. "We've also been reaching out to the local community, churches other foundations to see what they can do to help us out," said Halimi. Even if it's not money, Laura needs people to give her rides to the grocery store and to doctor's appointments. If you want to help, can contact Miranda Skinner at 239-259-8848, or Nora Halimi at 239-398-4089. You can also contact the Marco Island Presbyterian Church, which has been helping Laura.